I've been getting all the pieces in order that go into sharing a new product, the photos, the words for the press release, the list of people to send the two latter to, etc. As I was going through the steps I was also working quite a bit in the garden. 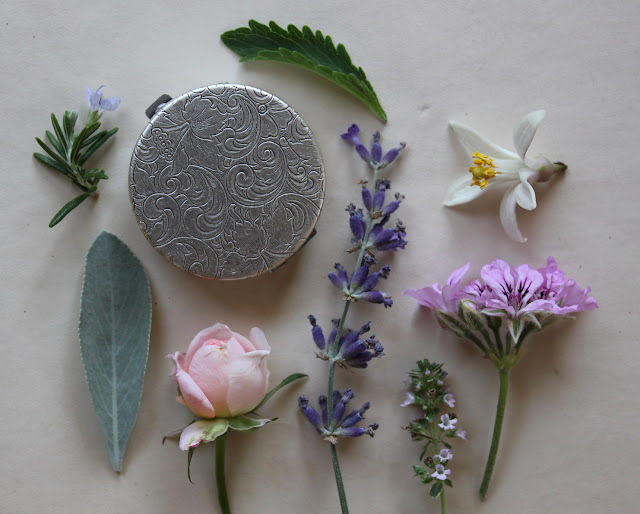 While looking at the flowers and herbs I decided to shot a few more photos of the natural solid perfume that evoked all the different plants that went into its construction. 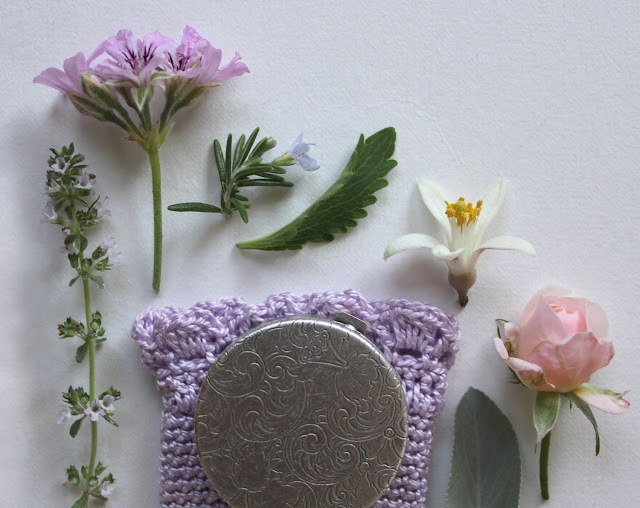 I took about thirty photos of the round case, still lifes of just the plants and a smattering with the mini compact. These two showcased here are just the beginning of what I'm planning imagery wise for Gracing the Dawn solid. Today I am going to focus on the words.